A person has had success, as measured by the attainment of goals, wealth, etc. So I assert that success is NOT real, if it’s only a destination. When I started writing about this topic, I had to take some time and look deeper into the meaning of success. There is personal and financial success were my immediate thoughts. But what does that really mean? To ME? To YOU? The other day I had this pile of library books, and my daughter sees the top book which is "Thrive" by Arianna Huffington. She laughs and asks “What's that?” (Apparently it sounded silly to her.) I told her Arianna Huffington is the co-founder of Huffington Post; that she is a successful business woman. The irony of my immediate response did not escape me. Are people only successful who accomplish fame and fortune? WHAT DOES MY LIFE’S PURPOSE HAVE TO DO WITH SUCCESS? To realize success is a journey and not a destination, we first determine our life’s purpose. We each have our niche; a purpose-driven life; which includes applying our individual talents in a professional field that compliments our character and attitude. For me, I am most content in a service-centered job of teaching. We don’t all have to work in a service-centered job to be of maximum service in our lives. It means if we perform in a field complementary to one's self; paradoxically we will be of service in ways we hadn’t thought of. Working in a field that compliments our life’s purpose brings contentment in all areas of our lives. We realize continued success in our personal relationships, finances, and careers. I made dinner for my family tonight. I didn't fight with my spouse. I finished my blog post. While writing this blog post, I felt excitement at the opportunity followed by fear. What if I’m not qualified? I began to write, and as I wrote, I realized in my innermost self that I am qualified. Sharing my experience, strength, and hope through words are part of my life’s purpose. My strengths include desire to inspire others, reading, research, editing, and revising. Once we recognize our talents, accept them and follow through in our respective fields, our confidence will grow, and we will experience success at every turn. We all need inspiration at times. In addition to our daily accomplishments, many of us have future goals that take time and effort. There are books, documentaries, and Ted Talks available to help us on our respective journeys. One thing the authors all have in common... They know their purpose. 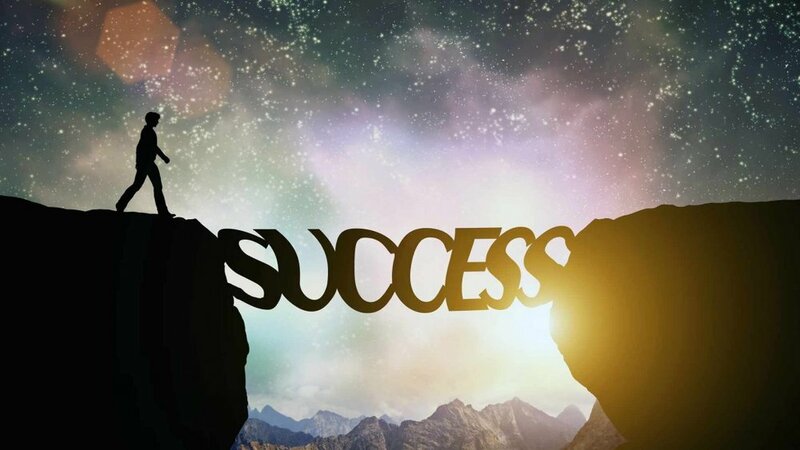 As Deepak Chopra says, “Success in life could be defined as the continued expansion of happiness and the progressive realization of worthy goals.” Progressive realization of worthy goals reminds us that success is a journey, not a destination. In the comment box below, please share with us your thoughts. Thank you for reading, and we invite you to subscribe to our blog!